Move to more efficient storage while preserving your legacy infrastructure. Replacing HDDs with the Intel SSD D3-S4510 and D3-S4610 Series based on 64-layer Intel 3D NAND TLC, reduces the storage operating cost, accelerates read-intensive workloads at higher service levels, and improves overall system reliability and flexibility. These reliable SSDs meet demanding service level requirements while increasing server efficiency. 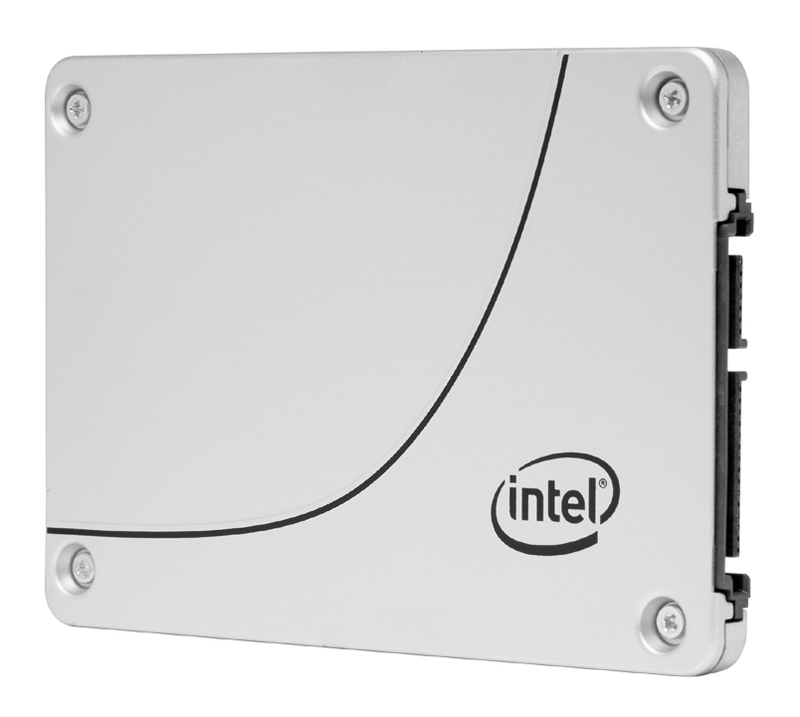 Innovative SATA firmware and the latest generation of Intel 3D NAND make SSD D3-S4510 and D3-S4610 compatible with existing SATA setups for an easy storage upgrade. Simply by integrating SSDs into the environment, organizations can improve server agility with up to 300x more IOPS/TB4 than HDDs, supporting more users and better services to grow the business without expanding the server footprint. Additionally, the flex workload feature enables a common drive type to cover more workloads with flexible capacity, flexible endurance, and flexible power-efficient performance. The reliability of the SSD D3-S4510 and D3-S4610 reduces the need for drive replacement that is necessary with HDDs. With a 4.2x lower annualized failure rate (AFR) compared to HDDs, IT departments will spend less time and expense replacing or upgrading storage devices.3 Equally important, once the SSDs are installed, the innovative SATA firmware completes updates without reset, reducing downtime.